Important. A charging adaptor is included with Odotrack. 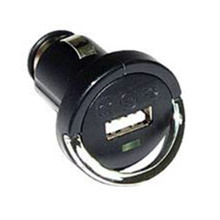 This special small-sized charging adaptor can fit easily into the console of your car and safely plugged into the car lighter socket. With integrated handle for easy unplugging.